We do not hunt through the Bible for some precept to obey…but we live so in touch with God that the Holy Spirit can continually bring some word of His and apply it to the circumstances we are in. … The teaching of Jesus Christ comes with astonishing discomfort to begin with, because it is out of all proportion to our natural way of looking at things; but Jesus puts in a new sense of proportion, and slowly we form our way of walking and our conversation on the line of His precepts: Remember that our Lord’s teaching applies only to those who are His disciples. What Chambers says about the Sermon on the Mount is true of any biblical passage we read: we need to have the Holy Spirit’s help to understand it and apply it to our unique life setting. Think of this—the same Holy Spirit who inspired the biblical writers is the exact same Spirit who will assist you in understanding that Word! Before I read the Bible I often pray: May the Spirit who inspired this Word now illuminate my mind to understand it and obey it. Try that prayer yourself and see how God’s Word is opened up to you. Never ridicule the way in which people say God guides them; all you know is that God does not guide you like that, but never ridicule. In this chapter of Jeremiah, God is contrasting true and false prophets. In order for us to distinguish the true from the false today, we must be students of God’s Word ourselves. Don’t get God’s Word solely from a man’s or woman’s preaching (although that does have its place), but be a student of the Word for yourself. God wants to speak to you through His Word. The same Holy Spirit that inspired the biblical authors wants to illuminate that Word to your specific life and situation. Get into the Word and let the Word get into you. How do you handle a hard passage in the Bible? Peter wrote this about Paul, “His letters contain some things that are hard to understand….” But if we don’t take the time to wrestle with that passage, Peter says this is what happens next: “…which ignorant and unstable people distort, as they do the other Scriptures, to their own destruction” (2 Peter 3:16). So here’s a 5-step plan I use when I am working through a challenging passage of Scripture. All Scripture is inspired by the Holy Spirit (2 Timothy 3:16), and the same Holy Spirit lives in a Christian (1 John 2:20). Think about that: the same Holy Spirit that inspired an author to write the words of Scripture is the same Spirit that will illuminate them to you! We will make our task much easier when we “zoom out” from the difficult text and read the whole passage surrounding the difficult verse/phrase. Perhaps we need to “zoom out” even farther to understand why the whole chapter or book was written. 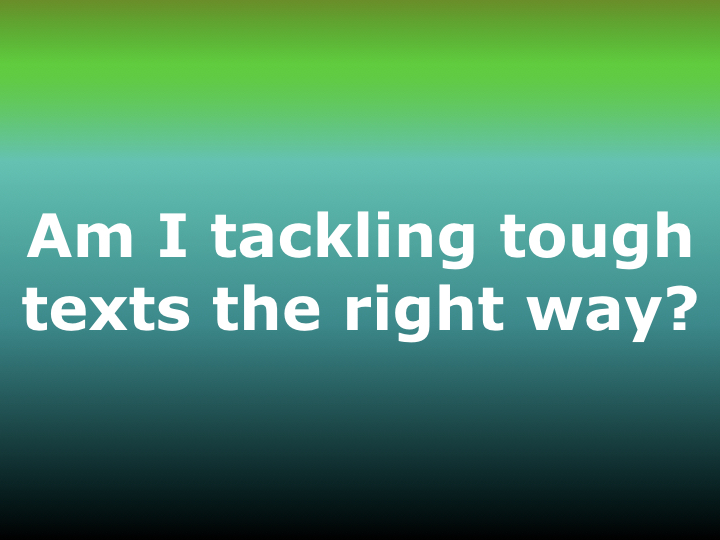 Start off by identifying the parts that you do understand, and then see what light that shines on the tricky text. Never, ever, ever draw a conclusion from just one passage of Scripture. Paul reminded his audience that he used the “whole counsel of God’s Word” (Acts 20:27) in forming his sermons. If the challenging passage contains an Old Testament passage, look it up; if it references an historical event, read that history. 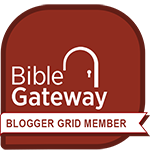 I also like to use biblegateway.com’s excellent search feature to find cross references. Only after you have done step #1-4 should you attempt to draw some conclusions. You will set yourself up for error if you draw a conclusion first, and then try to find other texts in the Bible that agree with you. The Apostle Peter writes something rather challenging in his first letter. In fact, Martin Luther said this about 1 Peter 3:18-22: “A wonderful text is this, and a more obscure passage perhaps than any other in the New Testament, so that I do not know for a certainty just what Peter means.” If you would like to see how I walk through the 5-step plan on this “obscure passage,” please check out the video below. Josh McDowell has a book that is perfect for this generation of youth. 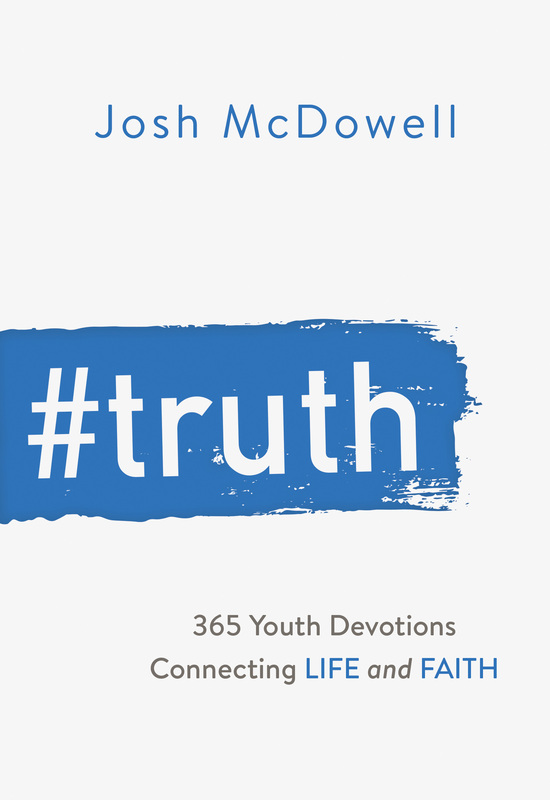 #Truth is a 365-day devotional that brings biblical truth to bear on the issues today’s students face every day. You can check out my full book review of #Truth by clicking here. Below are a handful of quotes that caught my attention. There is always something about a Mark Batterson book that motivates me to do even bigger things. But Chase The Lion took that to a whole new level! Chase The Lion is sort of the sequel to In A Pit With A Lion On A Snowy Day. In the first book, Batterson looked at the life of Benaiah, who was a lion killer. In Chase The Lion, we go deeper into Benaiah’s motivation. What motivates a man to run toward the roar? Is he a unique individual, or can others do what he did? Pastor Batterson then broadens his circles by looking at the other Mighty Men who, along with Benaiah, were attracted to King David. What brought these courageous warriors together? What kept them together? What were they fighting for? Then skillfully Mark weaves together his own lion-chasing journey, with other historic characters, as well as those mighty men surrounding King David. Time and time again Mark challenged me to be disenchanted with the status quo, to dream bigger dreams, to try more courageous things, to see that my life is not just lived for me. The life I live is made possible by other lion-chasers who came before me, and the way I live my life will make it possible for still more lion-chasers to follow my example. 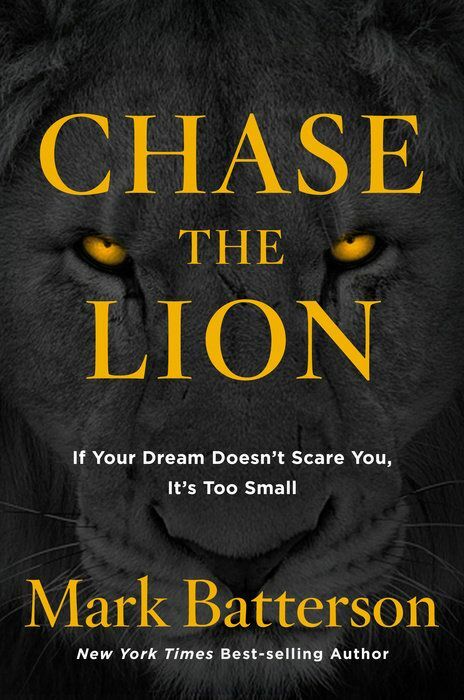 Before getting to chapter one I read “The Lion Chaser’s Manifesto” and I was already fired up to read and learn more. The rest of the book was chapter after chapter of new inspiration and encouragement. What an amazing book! I can’t recommend Chase The Lion enough to anyone who wants to do great things, and leave a legacy of greatness for generations to come. Thursdays With Oswald—What “Religious” Things Perplex You? What “Religious” Things Perplex You? If we are perplexed over the question of sanctification, or about the baptism of the Holy Ghost, we ourselves are the reason why we are bothered. God has written a Book, and the phrases “sanctification” and the “baptism of the Holy Ghost” are His, not man’s; why do we not go to Him about it? We are the reason why we do not go; we dare not go. If we honestly ask God to baptize us with the Holy Ghost and fire, anything that happens is His answer, and some appalling things happen. If we accept the revelation that our body is the temple of the Holy Ghost, are we prepared to ask God to fulfill the purpose of the Holy Ghost in our body? If we are, watch the consequences—that friendship must go, that book, that association, everyone of them must decay off like a lightning flash. If anyone has a difficulty in getting through to God, it is never God who is to blame. We can get through to Him as soon we want to, there is nothing simpler. God has revealed His full will in the inspired words of Scripture. The same Holy Spirit Who inspired the Bible can illuminate our hearts. We don’t have insight because we either don’t ask for it [James 1:5], or we don’t really want to hear the truth [James 4:3]. Asking for help while posturing ourselves to obey will quickly bring clarity—“Jesus Christ’s life must work through our flesh, and that is where we have to obey. 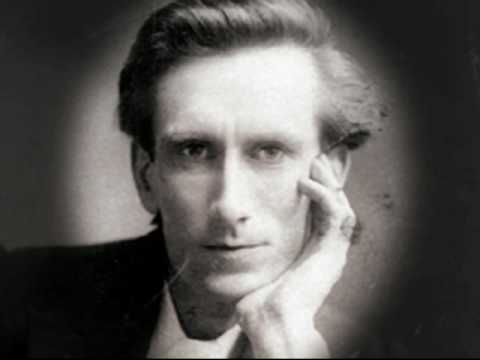 So many go into raptures over God’s supernatural salvation, over the wonderful fact that God saves us by His sovereign grace (and we cannot do that too much), but they forget that now He expects us to get ourselves into trim to obey Him” (Oswald Chambers).